The Kerrie Show: Teacher Appreciation Week Ends and Mother's Day Weekend Begins! Teacher Appreciation Week Ends and Mother's Day Weekend Begins! Last Friday totally rocked. It was the end of Teacher Appreciation Week (had I known earlier I would have pampered myself more, dangit) and the kickoff to Mother's Day WEEKEND! Yep, we get an entire weekend now. Joel had a camp physical then we got some tacos and donuts and 1/2 price frappucinos to celebrate the fun aforementioned holidays.Of course I did not take the camera on our outings. Drat. When we got home we got some outside time in. Ha! 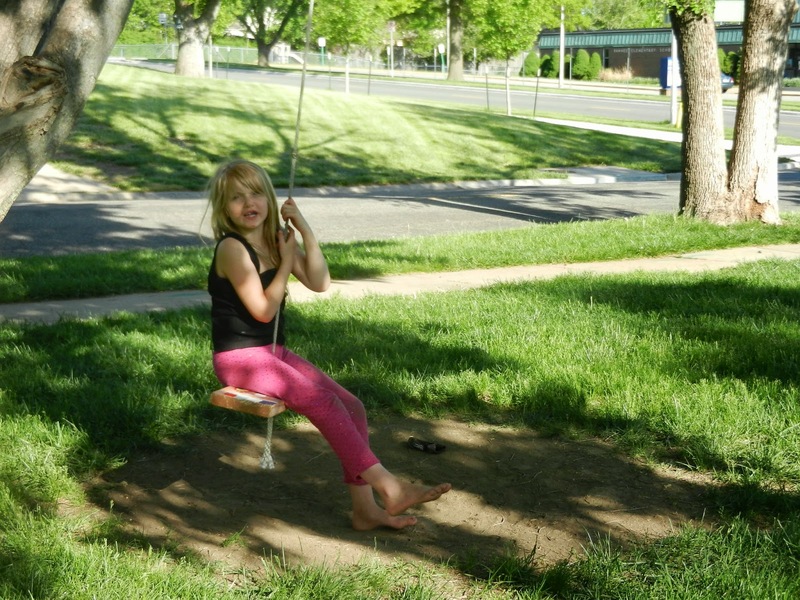 Callie on the swing. And you can't pass up a chance to make some money. 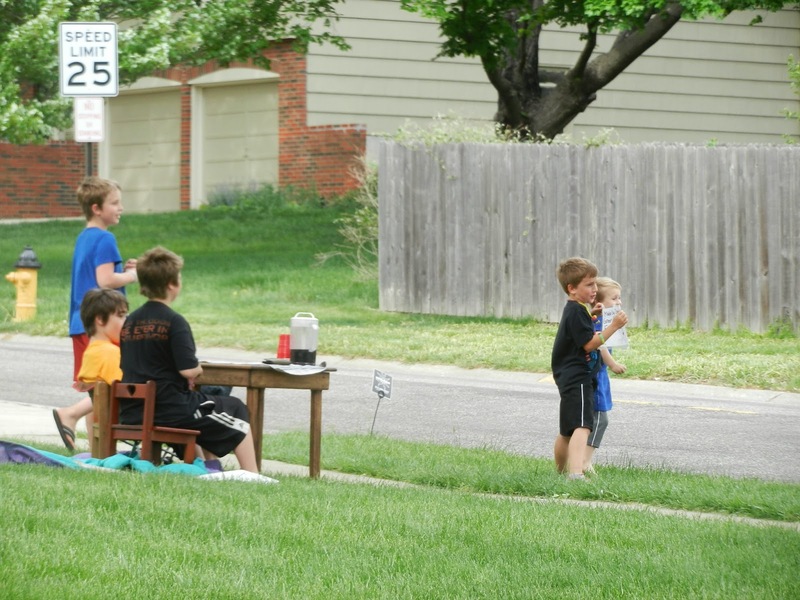 Our neighbor is never home so I convinced the kids to move up the road a bit, away from the busy corner, also making it easier for people to stop. One guy gave t hem $10. I am out there the whole time supervising, by the way. Wait, this photo is from Thursday b/c there is Liam. But you get the point.